EO 0.00 0.00 0.00 0.00 ! Other income fell 37% to Rs 53 lakh and interest cost rose 32% to Rs 18.79 crore. After providing for depreciation (down 5% to Rs 4.12 crore), PBT fell 55% to Rs 26.93 crore. Provision for taxation slumped 40% to Rs 14.88 crore (tax incidence grew from 41.4% to 55.3%), after which PAT went down 66% to Rs 12.05 crore. Minority interest and share of profit/loss of associate companies stood at a positive Rs 3.37 crore against a negative Rs 5.05 crore.. Finally net profit fell 49% to Rs 15.42 crore. 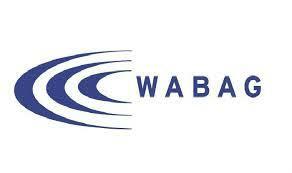 For the nine months, Va Tech Wabag reported a 13% fall in its consolidated sales to Rs 2101.71 crore. OPM fell 90 basis points to 7.4% which saw OP fall 23% to Rs 156.53 crore. Other income fell 46% to Rs 1.63 crore and interest cost rose 23% to Rs 51.30 crore. After providing for depreciation (down 6% to Rs 12.57 crore), PBT fell 37% to Rs 91.03 crore. Provision for taxation slumped 38% to Rs 39.10 crore (tax incidence remained at 43%), after which PAT went down 37% to Rs 51.93 crore. Minority interest and share of profit/loss of associate companies stood at a positive Rs 12.30 crore against a negative Rs 8.30 crore.. Finally net profit grew 13% to Rs 64.25 crore. Order intake stood at Rs 3566.6 crore out of which Rs 2340.4 crore was in Wabag India and Rs 1226.2 crore in Wabag Overseas. It has order Book of Rs 8360 crore & Framework Contracts of Rs 7000 crore. Out of the order book, Rs 6779.70 is from EPC segment and the rest Rs 1581 is from the O&M. The share price trades at Rs 274.